Your washing machine can clean so much more than clothes. Skip the scrubbing and throw these things in with your next load of laundry to cut down on your cleaning time. Make sure to use an effective soap like Green Works so you only have to wash it once. Let's face it, your gym bag is disgusting. Do yourself a favor and toss it in the washing machine before your next workout session. You know what's nastier than your gym bag? Your yoga mat. 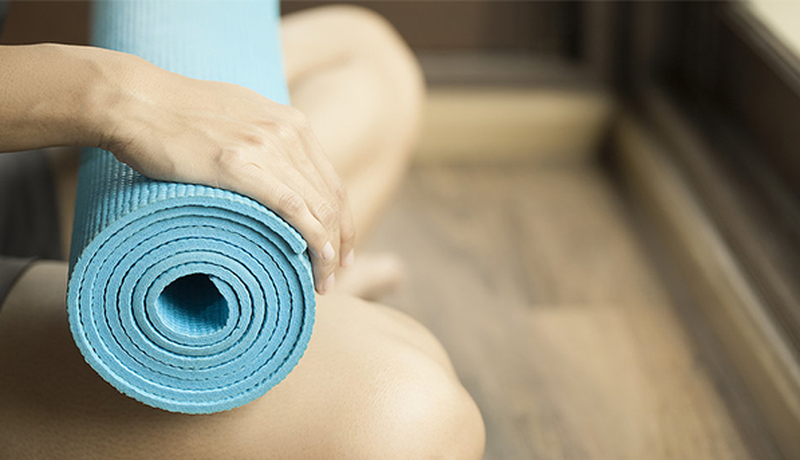 Check the label to make sure, but most yoga mats can be washed in a washing machine. Clean it on delicate to avoid the spin cycle (which could lead to a misshapen mat) and hang it to dry. Don't run out and buy a new shower liner every time yours gets gross. Throw it in the washing machine in cold water, and hang it back up in the shower to dry. Your bathroom mats are full of germs, and your car mats are full of dirt and crumbs. Don't shell out for new ones, just put them in your washing machine. Be sure to vacuum your rugs (or at least give them a few really good shakes) before you put them in the machine to get rid of most of the debris. Most rugs can also go in the dryer, but too many times in the dryer will cause the rubber backing to deteriorate, so hang them dry if you have time. Think about all the drool your pillows collect. Most can be put in the washing machine (even feather pillows! ), but read the care label first to make sure. When you pull your patio furniture out of winter storage, chances are it will look kind of grubby. Freshen it up by giving those chair pads a spin in the washing machine. It may take a while — you'll probably only be able to wash one or two at a time, depending on their size — but it'll be well worth your time. When was the last time you looked at your curtains really closely? They get pretty dirty and we don't even notice, right? Unless they're super delicate, your curtains can probably be washed in your machine, just check the label first. That thing is probably just about as furry as your pet, and it might even smell worse. Take the bed outside and shake it to remove the bulk of the fur, then stuff it in your washing machine. You probably thought that thing wasn't cleanable, right? If it will fit, stuff it right in your washing machine. When it goes in the dryer, throw several tennis balls in there with it to fluff it up and keep the feathers from clumping together. If you look at the inside of a well-worn baseball cap, you're likely to see nasty sweat stains. Yuck. Luckily, it can be washed in cool water with like colors. Use a hat form if you're worried about it losing its shape, and skip the dryer. There isn't much that gets nastier than sports gear. Luckily most of it can go in the wash. Shin guards, knee and elbow pads, chest protectors, gloves and more can all go for a spin in your wash. Trust us, you'll be so glad you did. Yes, those stinky sneakers can be cleaned in the washing machine. Remove the laces if you can, and wash them in cold water. Throw a towel or some jeans in there with them to reduce the noise factor, and let them air dry to reduce shrinking. Stuffed animals and dolls are cute, but the most well-loved ones can get pretty nasty. Take off any clothes or removable pieces and check for holes that could get larger in the wash. If you're concerned about delicate items, place them in a mesh bag or pillowcase before you put them in your machine. When those backpacks and fabric lunch boxes get grungy, throw them in the wash. These items will need to hang dry, so try not to take on this task on a school night. Server responsed at: 04/19/2019 4:55 a.m.